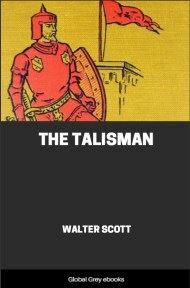 Published anonymously in 1814 as Scott's first venture into prose fiction, this is often regarded as the first historical novel in the western tradition. 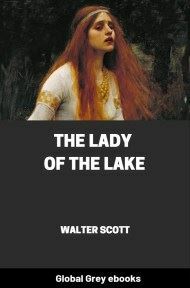 It became so popular that Scott's later novels were advertised as being 'by the author of Waverley'. 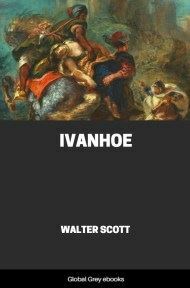 His series of works on similar themes written during the same period have become collectively known as the 'Waverley Novels'. 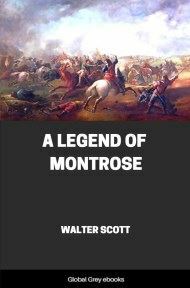 It is set in the time of the Jacobite uprising of 1745 which sought to restore the Stuart dynasty in the person of Charles Edward Stuart, known as 'Bonnie Prince Charlie'. 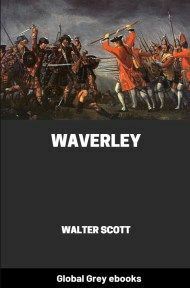 A young English dreamer and soldier, Edward Waverley, is sent to Scotland that year. 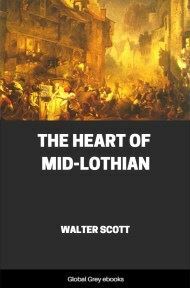 He journeys north from his aristocratic family home, Waverley-Honour, in the south of England, first to the Scottish Lowlands and the home of family friend Baron Bradwardine, then into the Highlands and the heart of the rebellion and its aftermath. The title of this work has not been chosen without the grave and solid deliberation which matters of importance demand from the prudent. 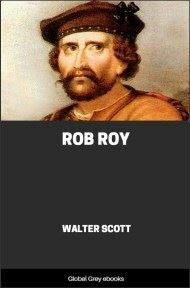 Even its first, or general denomination, was the result of no common research or selection, although, according to the example of my predecessors, I had only to seize upon the most sounding and euphonic surname that English history or topography affords, and elect it at once as the title of my work and the name of my hero. But, alas! what could my readers have expected from the chivalrous epithets of Howard, Mordaunt, Mortimer, or Stanley, or from the softer and more sentimental sounds of Belmour, Belville, Belfield, and Belgrave, but pages of inanity, similar to those which have been so christened for half a century past? I must modestly admit I am too diffident of my own merit to place it in unnecessary opposition to preconceived associations; I have, therefore, like a maiden knight with his white shield, assumed for my hero, WAVERLEY, an uncontaminated name, bearing with its sound little of good or evil, excepting what the reader shall hereafter be pleased to affix to it. But my second or supplemental title was a matter of much more difficult election, since that, short as it is, may be held as pledging the author to some special mode of laying his scene, drawing his characters, and managing his adventures. Had I, for example, announced in my frontispiece, 'Waverley, a Tale of other Days,' must not every novel-reader have anticipated a castle scarce less than that of Udolpho, of which the eastern wing had long been uninhabited, and the keys either lost, or consigned to the care of some aged butler or housekeeper, whose trembling steps, about the middle of the second volume, were doomed to guide the hero, or heroine, to the ruinous precincts? Would not the owl have shrieked and the cricket cried in my very title-page? and could it have been possible for me, with a moderate attention to decorum, to introduce any scene more lively than might be produced by the jocularity of a clownish but faithful valet, or the garrulous narrative of the heroine's fille-de-chambre, when rehearsing the stories of blood and horror which she had heard in the servants' hall? Again, had my title borne, 'Waverley, a Romance from the German,' what head so obtuse as not to image forth a profligate abbot, an oppressive duke, a secret and mysterious association of Rosycrucians and Illuminati, with all their properties of black cowls, caverns, daggers, electrical machines, trap-doors, and dark-lanterns? Or if I had rather chosen to call my work a 'Sentimental Tale,' would it not have been a sufficient presage of a heroine with a profusion of auburn hair, and a harp, the soft solace of her solitary hours, which she fortunately finds always the means of transporting from castle to cottage, although she herself be sometimes obliged to jump out of a two-pair-of-stairs window, and is more than once bewildered on her journey, alone and on foot, without any guide but a blowzy peasant girl, whose jargon she hardly can understand? Or, again, if my Waverley had been entitled 'A Tale of the Times,' wouldst thou not, gentle reader, have demanded from me a dashing sketch of the fashionable world, a few anecdotes of private scandal thinly veiled, and if lusciously painted, so much the better? a heroine from Grosvenor Square, and a hero from the Barouche Club or the Four-in-Hand, with a set of subordinate characters from the elegantes of Queen Anne Street East, or the dashing heroes of the Bow-Street Office? I could proceed in proving the importance of a title-page, and displaying at the same time my own intimate knowledge of the particular ingredients necessary to the composition of romances and novels of various descriptions;—but it is enough, and I scorn to tyrannise longer over the impatience of my reader, who is doubtless already anxious to know the choice made by an author so profoundly versed in the different branches of his art. By fixing, then, the date of my story Sixty Years before this present 1st November, 1805, I would have my readers understand, that they will meet in the following pages neither a romance of chivalry nor a tale of modern manners; that my hero will neither have iron on his shoulders, as of yore, nor on the heels of his boots, as is the present fashion of Bond Street; and that my damsels will neither be clothed 'in purple and in pall,' like the Lady Alice of an old ballad, nor reduced to the primitive nakedness of a modern fashionable at a rout. From this my choice of an era the understanding critic may farther presage that the object of my tale is more a description of men than manners. A tale of manners, to be interesting, must either refer to antiquity so great as to have become venerable, or it must bear a vivid reflection of those scenes which are passing daily before our eyes, and are interesting from their novelty. Thus the coat-of-mail of our ancestors, and the triple-furred pelisse of our modern beaux, may, though for very different reasons, be equally fit for the array of a fictitious character; but who, meaning the costume of his hero to be impressive, would willingly attire him in the court dress of George the Second's reign, with its no collar, large sleeves, and low pocket-holes? The same may be urged, with equal truth, of the Gothic hall, which, with its darkened and tinted windows, its elevated and gloomy roof, and massive oaken table garnished with boar's-head and rosemary, pheasants and peacocks, cranes and cygnets, has an excellent effect in fictitious description. Much may also be gained by a lively display of a modern fete, such as we have daily recorded in that part of a newspaper entitled the Mirror of Fashion, if we contrast these, or either of them, with the splendid formality of an entertainment given Sixty Years Since; and thus it will be readily seen how much the painter of antique or of fashionable manners gains over him who delineates those of the last generation. Considering the disadvantages inseparable from this part of my subject, I must be understood to have resolved to avoid them as much as possible, by throwing the force of my narrative upon the characters and passions of the actors;—those passions common to men in all stages of society, and which have alike agitated the human heart, whether it throbbed under the steel corslet of the fifteenth century, the brocaded coat of the eighteenth, or the blue frock and white dimity waistcoat of the present day. [Footnote: Alas' that attire, respectable and gentlemanlike in 1805, or thereabouts, is now as antiquated as the Author of Waverley has himself become since that period!